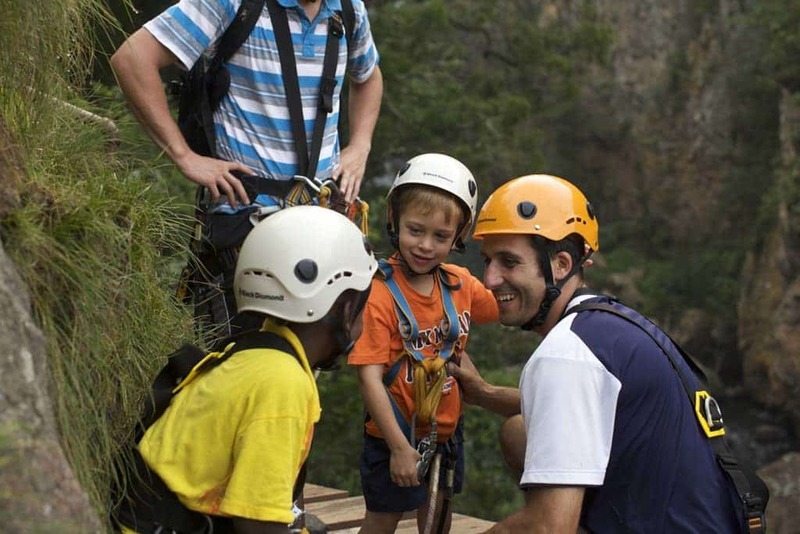 Go on a journey into a previously inaccessible realm of nature, as you traverse the upper level of indigenous forest and ancient mountain cliffs, overlooking the spectacular Groot Letaba River gorge. 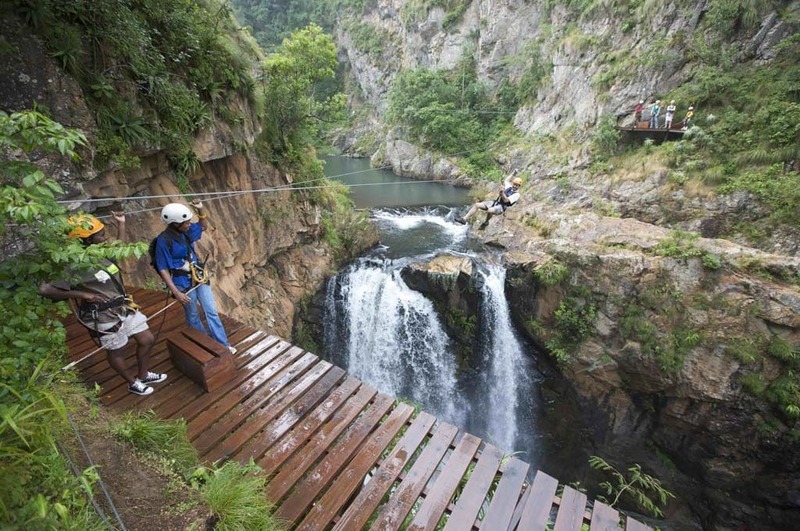 The tour includes awe-inspiring slides and platform viewpoints over three giant waterfalls, each tumbling up to 20 metres into the sparkling river below. Relax and absorb the tranquillity of your natural surroundings on each platform as trained guides detail interesting facts about the fauna, flora and ecology of the surrounding environment. 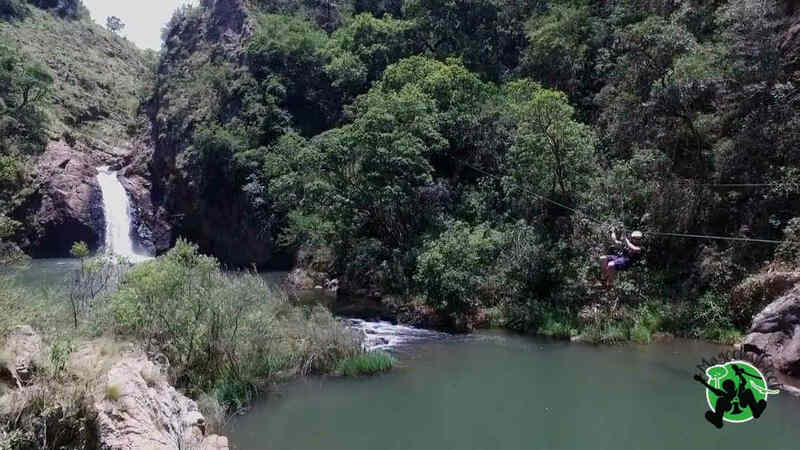 The Letaba River gorge is home to a wide variety of plant, animal and birdlife.The assortment of colourful wildflowers and orchids draping the surrounding cliffs are sure to catch your attention, and remember to keep an eye out for the Giant Kingfisher which regularly swoops over the river below. Suitable for anyone between 7 and 70. 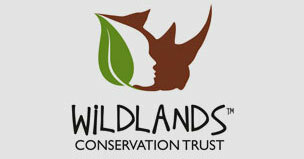 Great for the whole family, nature lovers, thrill seekers and corporate groups. 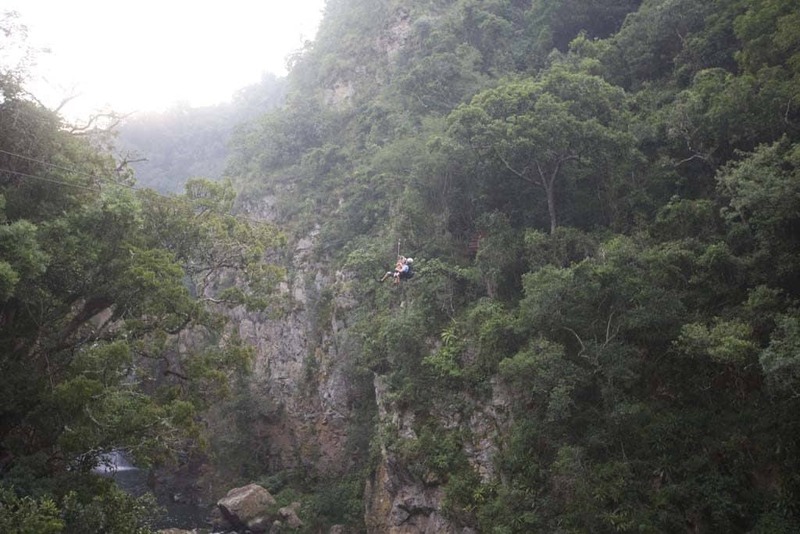 After a safety briefing and kitting up at reception, guests will hike into the gorge to the first slide. 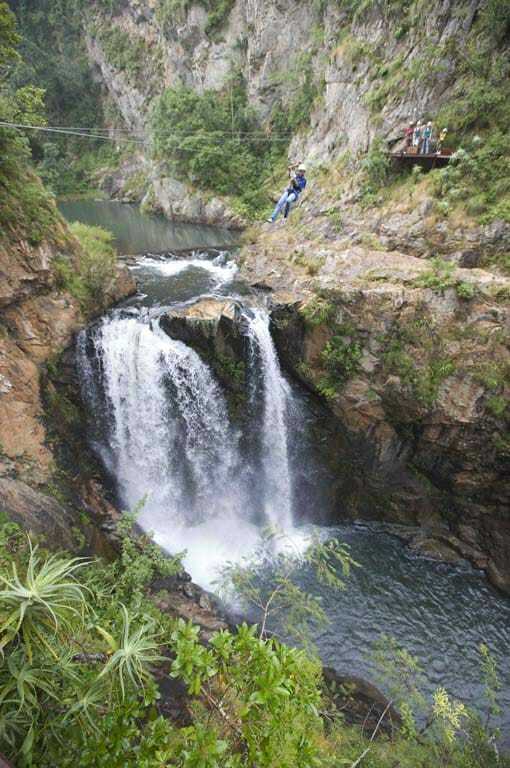 Slide along steel cables from platform to platform, taking you past waterfalls and through valleys, enjoying all that mother nature has to offer. With 13 platforms and slides up to 150m long, both nature and adventure enthusiasts will be sure to come back for more! After a short walk back to the vehicle, we transport you back to enjoy a light meal together. 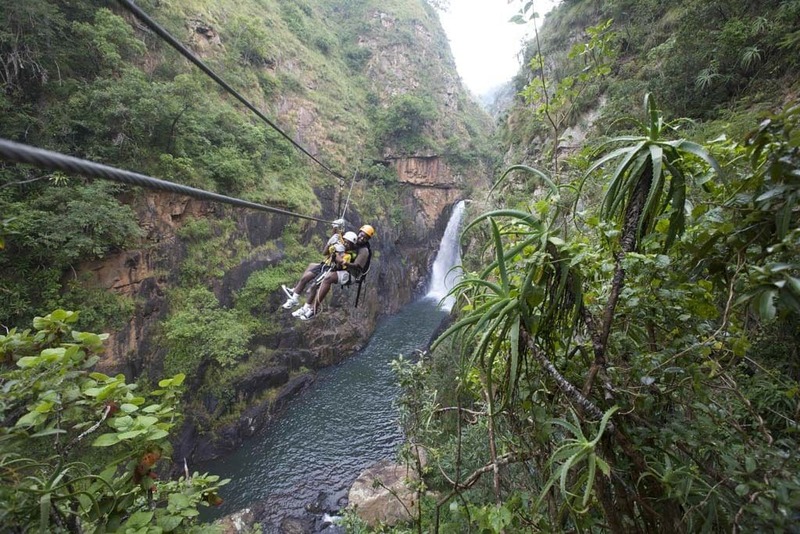 Our cables are designed to hold several tons, however, in order to safely enjoy the tour, we require our clients to be able to fit comfortably into a full body safety harness, with a weight limit of 120kg. If there are any small children or guests requiring a tandem, please advise the office in advance. 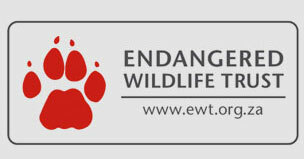 We regret, that participating in the Magoebaskloof Canopy Tour experience is not permitted when pregnant. 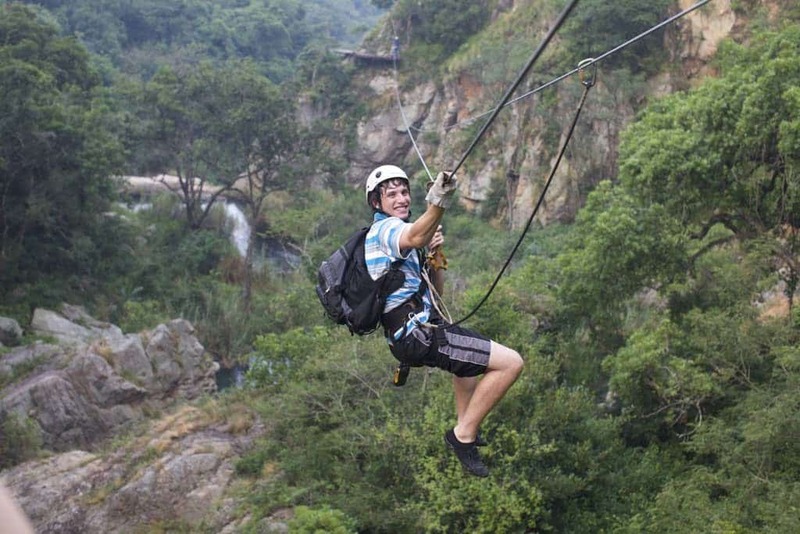 Magoebaskloof Canopy Tour is an adventure activity, and we recommend a reasonable level of fitness. You will need to hike for 1km up and out of the gorge after the tour. Please be sure to bring warm clothes since weather in the Magoebaskloof can be unpredictable – especially up in the mountains. For safety reasons we don’t allow alcohol on or before the tour.